BAGHDAD — Three years on, the U.S. military is finally becoming adept at fighting a counterinsurgency war in Iraq. Sadly, these are precisely the skills that should have been mastered before America launched its invasion in March 2003. It may prove one of the costliest lessons in the history of modern warfare. I had a chance to see the new counterinsurgency doctrine in practice here this week. U.S. troops are handing off to the Iraqi army a growing share of the security burden. As the Iraqis step up, the Americans are stepping back into a training and advisory role. This is the way it should have happened from the beginning. Tensions eased after an Iraqi brigade commander, a Shiite, rolled his armored vehicles into the Sunni stronghold of Tarmiya and told local imams that his men would protect their mosques against Shiite attacks — and that in return, they must control Sunni militants. “He laid down the law,” remembers Col. Jim Pasquarette, who commands U.S. forces in the area. The crisis gradually eased there, with U.S. forces mostly remaining in the background. Prove the Connection? What’s left to prove, anyway? 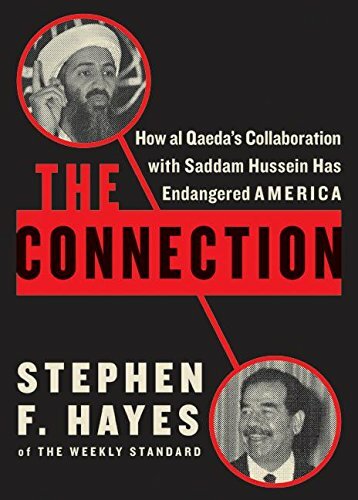 Here’s a wrap up from wnd about the latest connections found in Saddam’s docs, some of which have been published on the internet (thanks to the President of the United States). Stephen Hayes of the Weekly Standard on the number of documents already released. And a previous piece in the Standard. Here’s ABC News’ take on some of the documents released. group” while he was in Iran.